Another eye shadow palette, I know. I guess, I didn't planed my posts good. But hey, I always conclude makeup looks, so I guess it's not just a regular review. My face has been breaking out like crazy, that's why there were no new makeup looks, but I have many ideas for the future. Back to the topic. 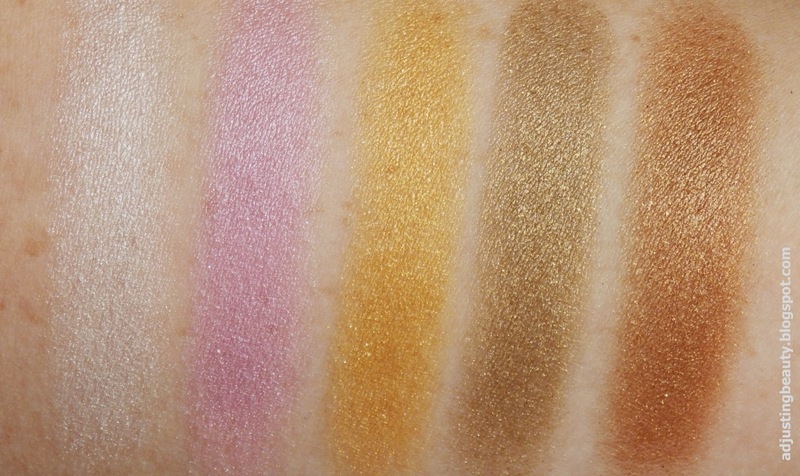 Today's review is of Born Pretty Store eye shadow palette, which looks very colorful, but is actually really wearable. 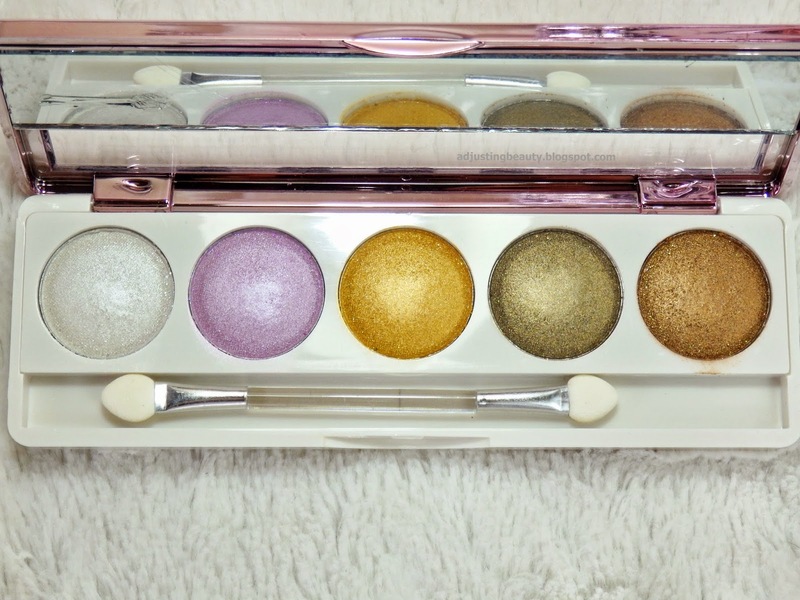 Eye shadow palette comes in this very shimmery silver box. The packaging is plastic and it has rose gold metallic look. The packaging is somewhat sturdy, but the mirror in it, not so much. It costs 6$ and there's 5.2 grams of product in it. I chose the shade 1, but there are 6 different shades of palettes to choose from. You can get the palette here. Of course, you get standard sponge applicator, which I never use. Now...when I first saw these eye shadows, I was like...hell no! Can you see how glittery it looks? I was seriously afraid and thought, I'm not gonna like this. I was wrong. Once I swirled the eye shadows, the glitter was gone. 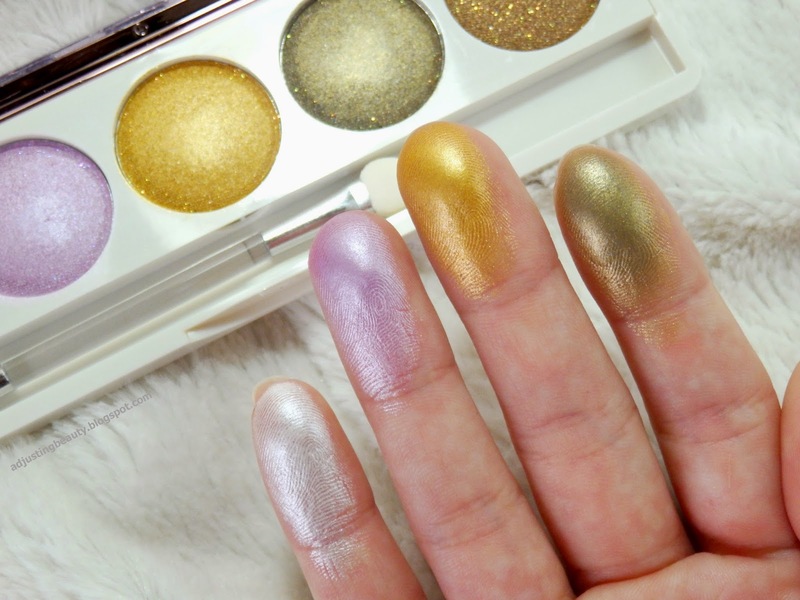 Eye shadow became a really nice shimmer shades. 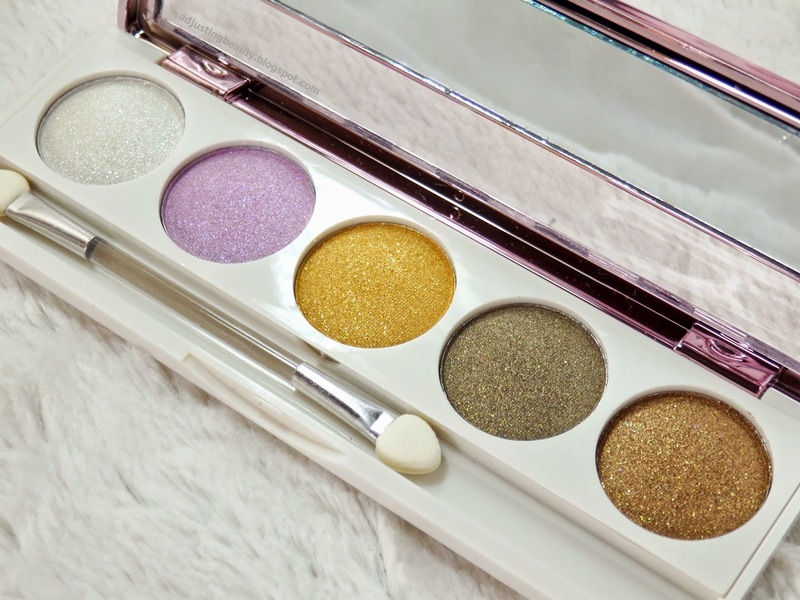 I would actually categorize those eye shadows as metallic, because they have that pearl metallic finish to them. 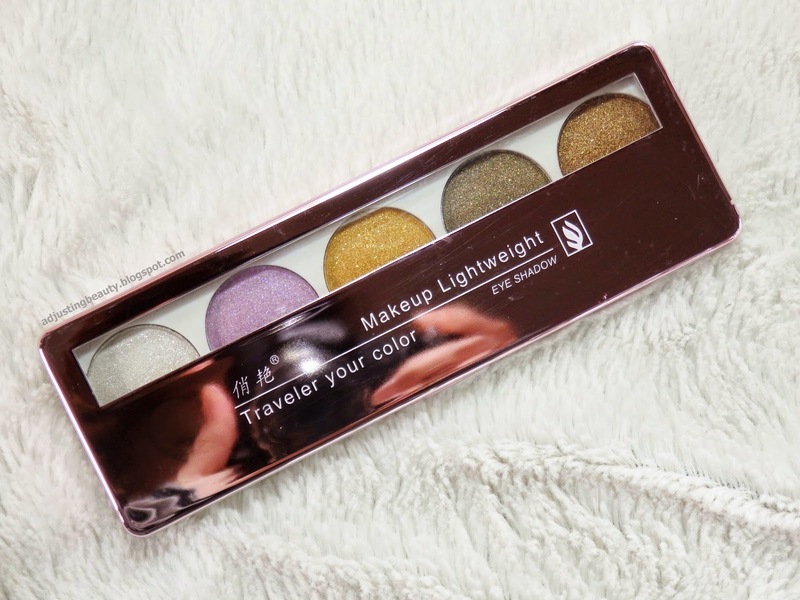 The shades are well pigmented, but nothing crazy good. I think the reason may be, because of that metallic finish. It also means they are a lot more wearable, than what they look like. The formula has that moist feeling to it, where they are not dry, but almost seem like a cream, when you swirl them. That results in good blend-ability. Also take into consideration that the shades kind of loose the brightness through the day. It means they become less vibrant, as I have observed, while wearing them through the whole day. It's nothing mayor, it just won't look like when you first applied it. Second shade: lavender cool toned purple. Third shade: goldish warm yellow. Fourth shade: warm green toned brown. Fifth shade: warm copper brown. The shades look a lot brighter and more intimidating in the palette then on the skin. 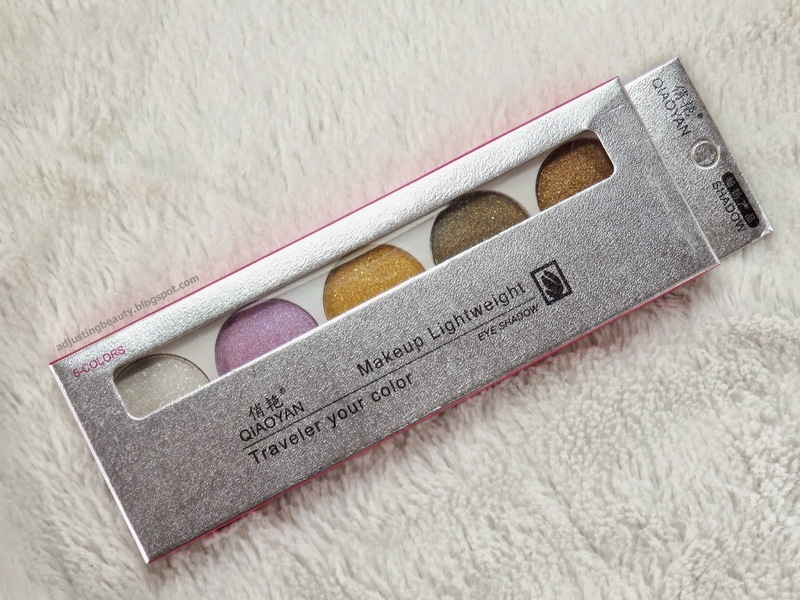 They are a very wearable variations of colored shades, which can be used to lift up daily makeup. I decided to apply the shades and let you see how they look like on me. Lavender purple looks too cool toned and a lot lighter on my skin than it does in the palette. I also used white shade in the inner corner of my eye. 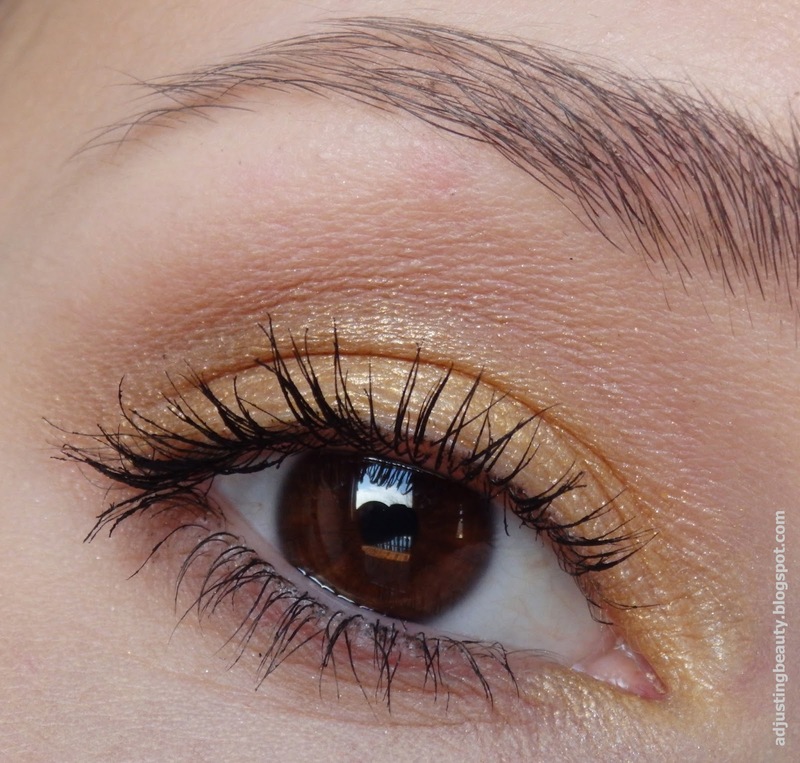 Yellow shade really brights up my eyes and it's also a lot lighter on the skin. Green based brown shade is my favorite of this palette. 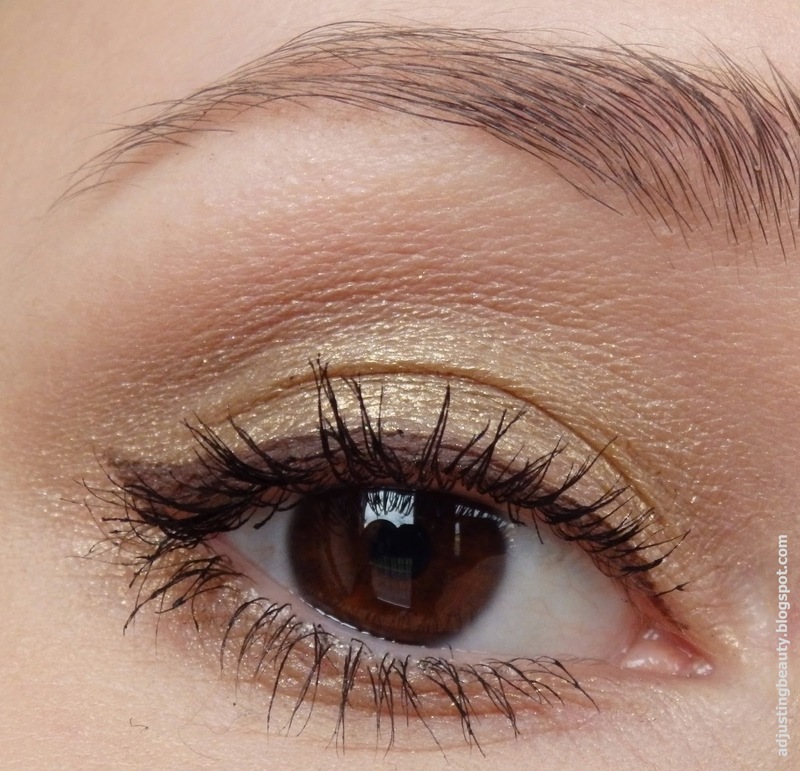 It looks a lot greener in the palette, but it's actually a very wearable shade of green mixed with brown tone. It looks really nice with my skin tone and I like that it's not a very obvious green, which does look a bit weird on me. 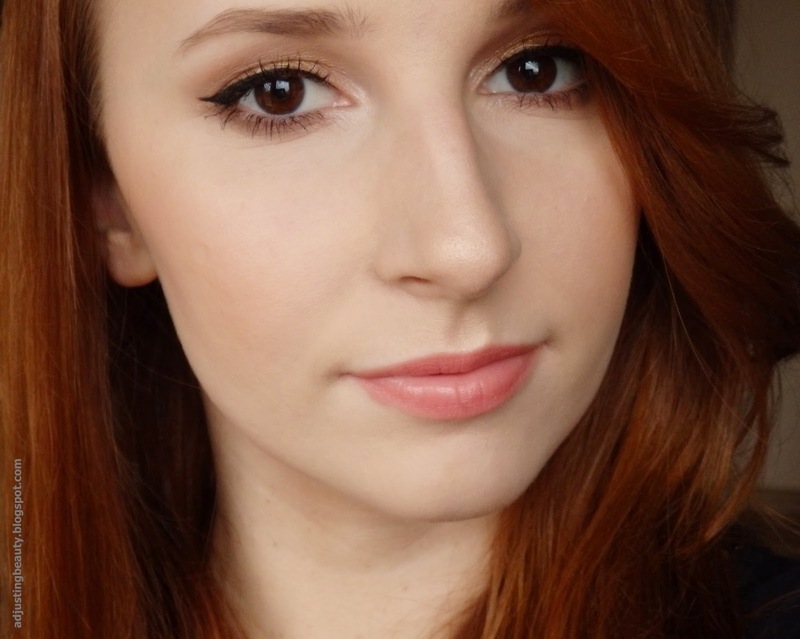 Last, brown shade looks a lot more brown in the palette, but on me it's actually very coppery or even peach. 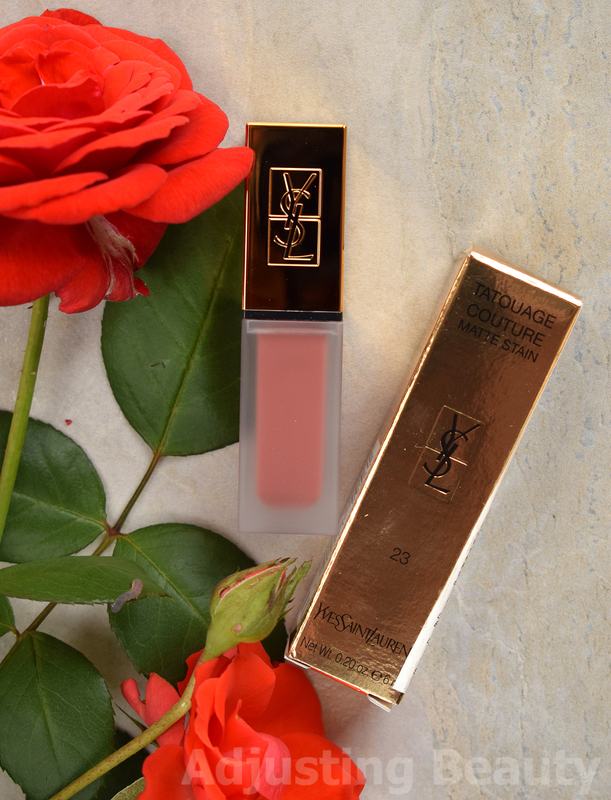 It's the one shade that shocked me the most. I was expecting a very warm brown shade, but it's actually totally different. 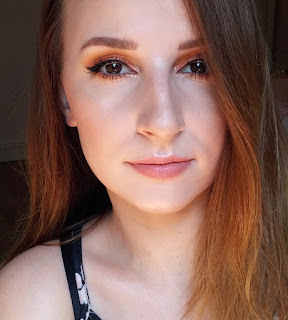 I also included some full face makeup. On the first one is my favorite green shade of the palette and on the second is copper brown shade. To conclude, I think the palette is pretty affordable and you get a good pigmented shades that are more on a wearable daily side. 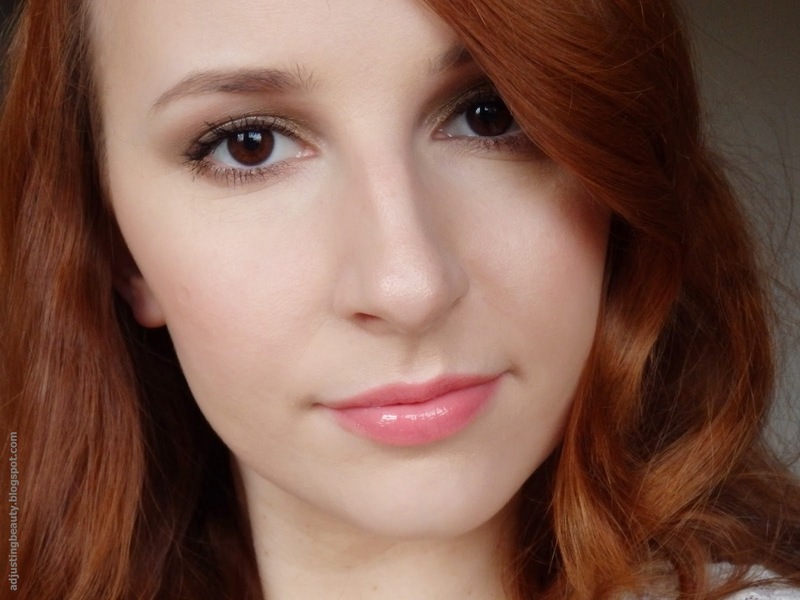 They can be used as a pop of color, mixed with other eye shadows, or mixed together to create a more colorful look. There are more shade options to choose from. I chose this one, because of the lavender shade - don't ask me what is up with me, but lately I've been craving lavender shades and I don't even understand why. So, a good palette. Nothing extraordinary, but good. 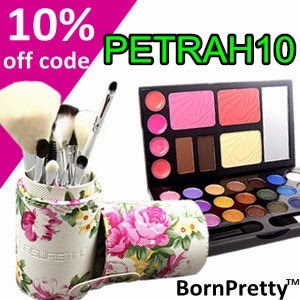 I still have a code for 10% off on Born Pretty Store. The code is PETRAH10, if you intend on getting something. Barve niso zame, ampak wau - tisti swatchi na prstih so res čudoviti! :) Me pa zanima kako je zdaj s tem naročanjem iz Kitajske in našim carinjenjem. Je res, da zdaj vsem paketom prištejejo 5 evrov stroškov, ko gredo čez carino? A res? Jaz nič nisem slišala o tem. Bomo videli:). 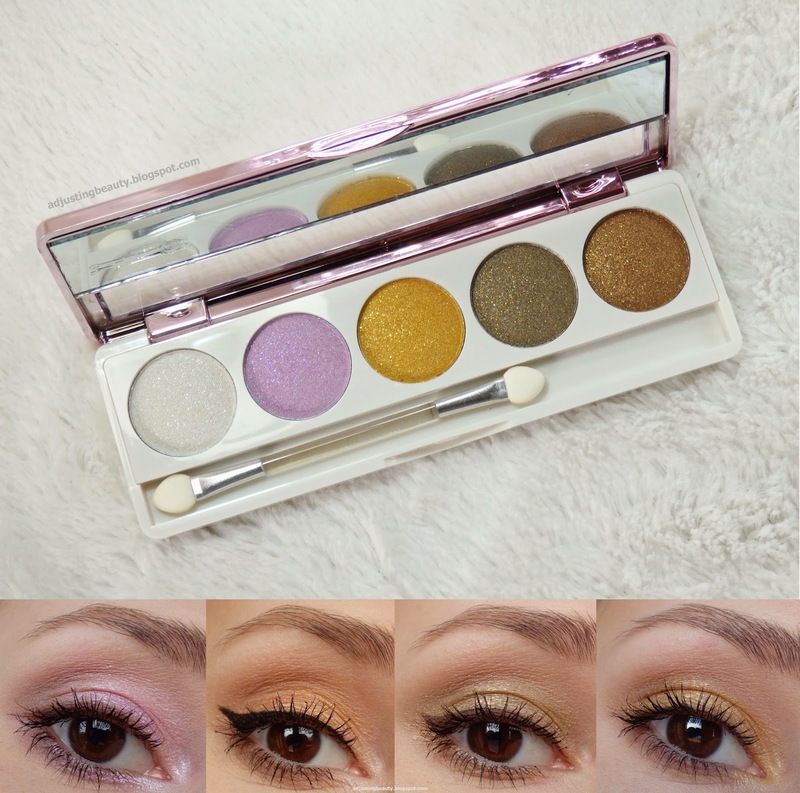 I love the different types of looks you were able to create with such a small and compact palette! 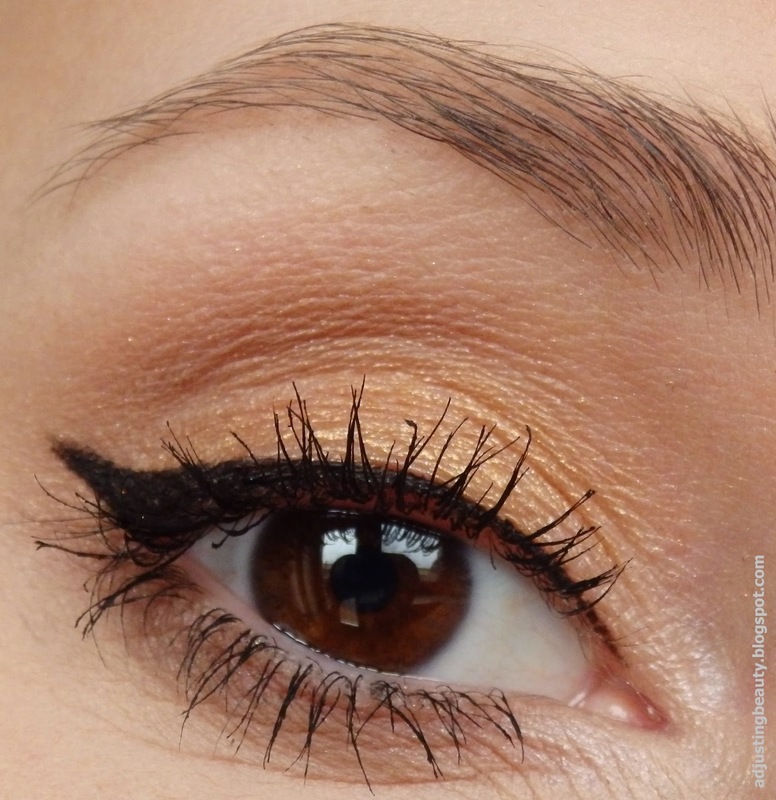 I'm going to have to try this with some of my palettes! A ne? Mene so pa tiste bleščice najbolj zmotile, potem pa ta čudovit finiš:). Zelo lepi swatchi in res posebni odtenki =) ps: tvoje obrvi izgledajo res top! Waw kako lepa paletka, ti pa si itak vedno čudovita, ne glede na odtenek senčke...prav vse ti paše!